Axel Jonkheer Merckx (born 8 August 1972 in Uccle) is a Belgian former professional road bicycle racer and the son of five-time Tour de France champion Eddy Merckx. Axel Merckx became a professional cyclist in 1993, winning the Belgian national road race championship in 2000. He repeatedly vowed to make his mark by accomplishing feats that had eluded his father Eddy, such as winning a Tour de France stage at Alpe d'Huez and the Paris–Tours classic. 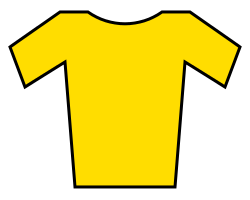 He did not succeed, but competed in eight Tours de France and finished as the highest-placed Belgian rider six times. Merckx won the bronze medal in the road race at the 2004 Games in Athens, breaking free in the final kilometre. During the 2006 Tour, Merckx announced that he signed a new contract for one extra season with Phonak, later renamed iShares. He stated that this would be his last season as a professional road bicycle racer. However, after Phonak announced that it would stop sponsoring the cycling team, Merckx signed a contract with Team T-Mobile, where he had started his professional career. Merckx announced his retirement from professional cycling at the end of the 2007 Tour de France. He won his last race at Lommel, in August 2007. He created the Granfondo Axel Merckx National Series, with its inaugural event being the Granfondo Axel Merckx Okanagan on 10 July 2011 in Penticton, British Columbia. His father, Eddy, rode in the inaugural event. His name was on the list of doping tests published by the French Senate on 24 July 2013 that were collected during the 1998 Tour de France and found suspicious for EPO when retested in 2004. Merckx is currently the owner and directeur sportif of the Axeon Cycling Team. Merckx married Canadian triathlete Jodi Cross in 1997, and currently resides in Kelowna, British Columbia. They have two children, Axana (born 5 May 2001) and Athina Grace (born 29 June 2005). Because his father was made a baron—a personal, hereditary title—in Belgium, Axel Merckx has also been ennobled. He is therefore officially referred to as Baron (in French) or Jonkheer (in Flemish) Axel Merckx. This honorific title is comparable to the British The Honourable, when the untitled person is the offspring of a baronet, earl or viscount. ↑ Brecht Decaluwé (28 July 2007). "Merckx says farewell with final break". Angoulême. Retrieved 27 July 2007. ↑ "Axel Merckx wins after Tour criterium at Lommel". 7 August 2007. Archived from the original on 21 July 2009. Retrieved 7 August 2007. ↑ "French Senate releases positive EPO cases from 1998 Tour de France". ↑ "Cycling's next generation". axeoncycling.com. Retrieved 3 June 2015. ↑ "Jodi Cross is currently married to Axel Merckx.". famoushookups.com. Celebrity biographies. Retrieved 28 August 2016. ↑ 25.000 nobles en Belgique. La Dernière Heure / Les Sports (DH Net) 11 July 2005. ↑ Afschaffen van de adelstand Website of Liberales denktank. ↑ Koning en Keizerrijken Het geheim van de Adel.